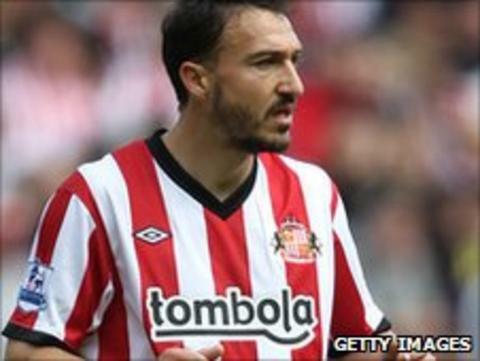 Steed Malbranque has left Sunderland for French side St Etienne. Malbranque, 31, has signed a two-year deal to return to his home country for an undisclosed fee. A statement on the French club's website said: "It's official. Steed Malbranque is a St Etienne player. The midfielder is committed to ASSE for two seasons." Malbranque's move ends a 10-year stay in English football, during which time he made 336 Premier League appearances. After impressing at Lyon, Malbranque secured a move to Fulham in 2001 for a reported £4.5m. He scored 10 goals for the Cottagers in his first season and played 211 games for the west London club. Malbranque signed for Tottenham in the summer of 2006, going on to make 96 appearances, before joining Sunderland in 2008.